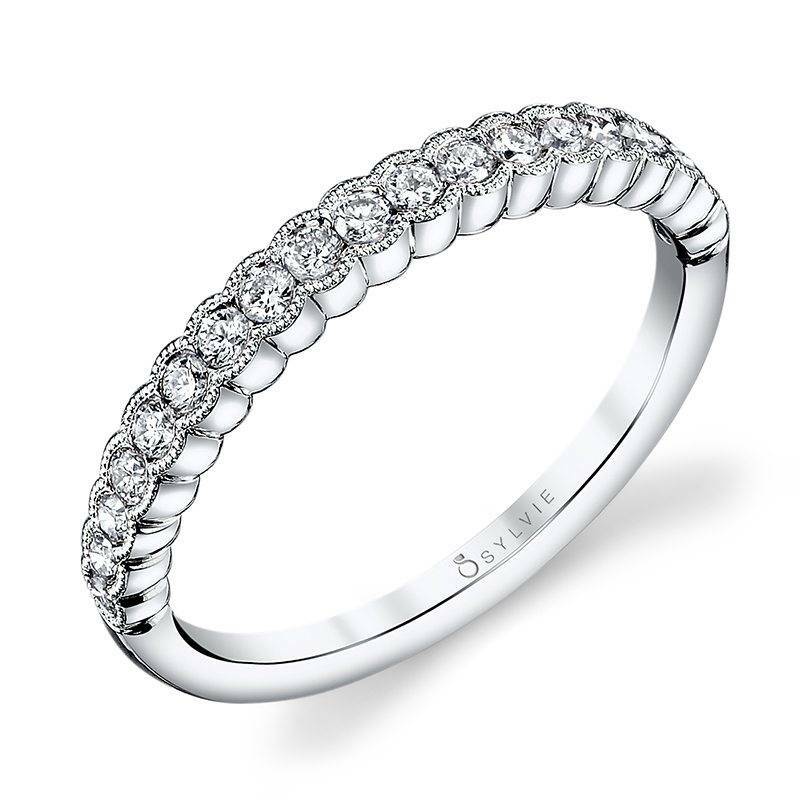 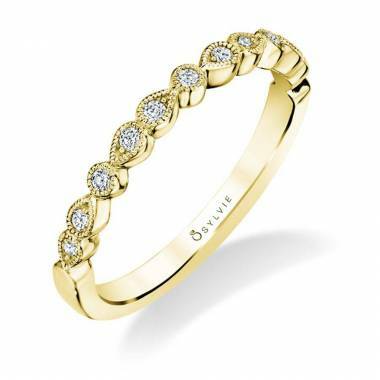 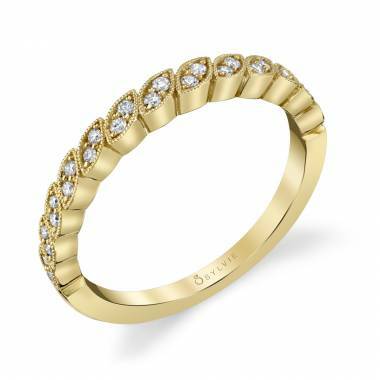 Stackable bands are the most versatile trend amongst classic and modern brides. Our stackable bands can be worn as fashion rings on their own or paired with one of our engagement rings. 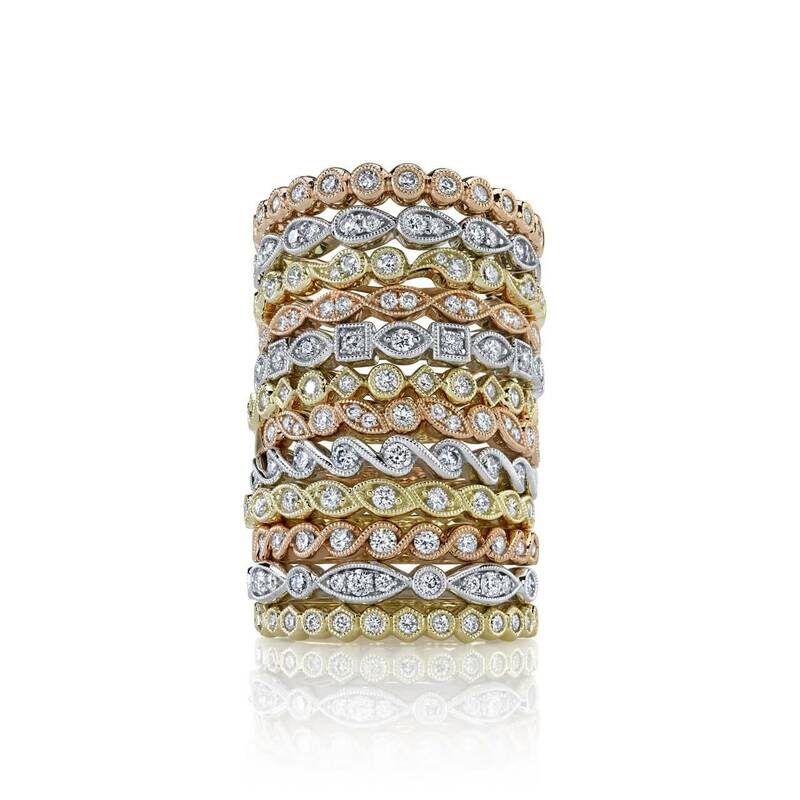 Whether you’re going to mix metals or match them, our stackable bands add the perfect touch to any style of ring. 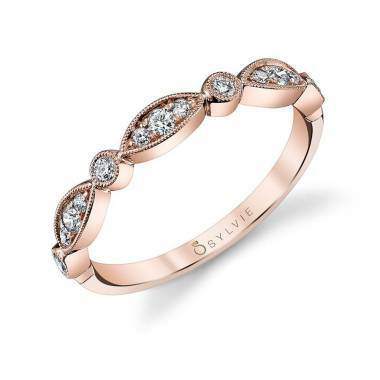 From classic to modern, Sylvie’s collection of over 100 styles of interchangeable stackable bands offers endless combinations to choose from. 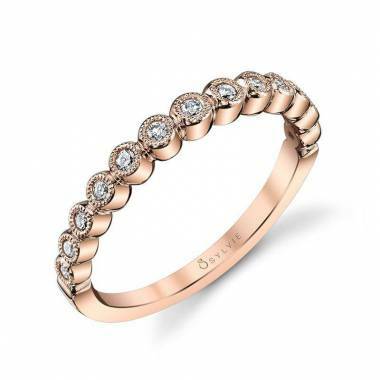 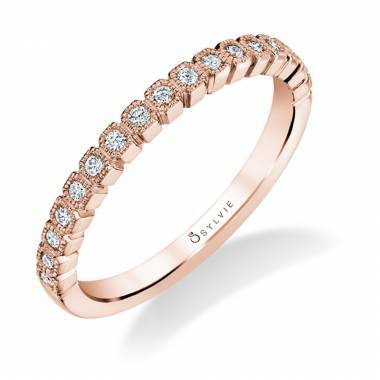 Mixing metals such as yellow and rose gold or matching a white gold stackable to one of our various engagement rings, adds just the right amount of flare and glam to any wedding set. Make it your dream wedding set by creating a look that stands out from the rest. Our stackable bands also make for great gifts for birthdays, holidays or even anniversaries. If you’re celebrating your anniversary, you can mix the metals of your stackable band and engagement ring for a unique and versatile look that’ll never go out of style. 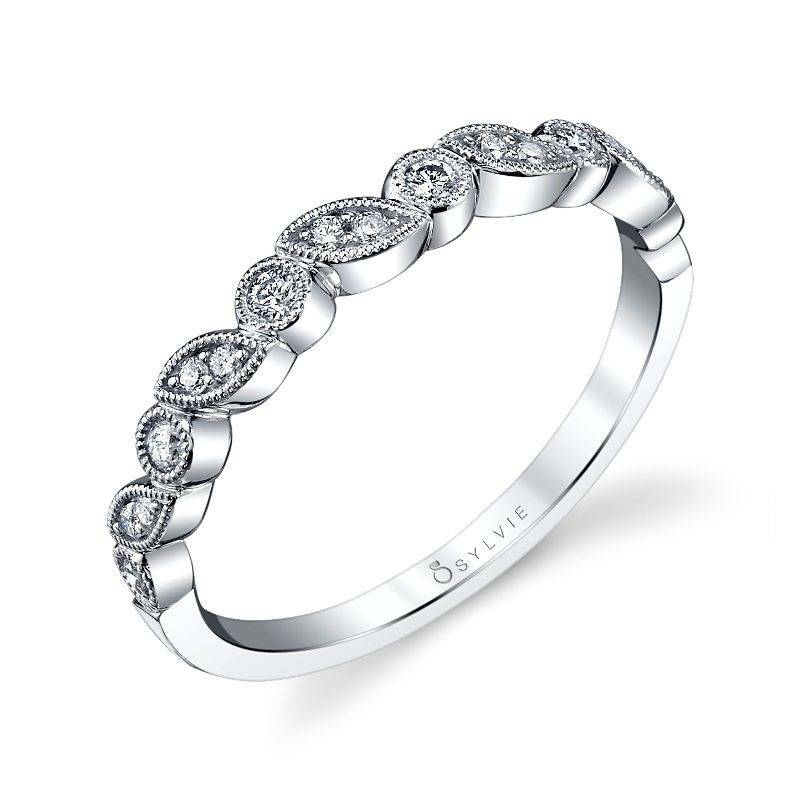 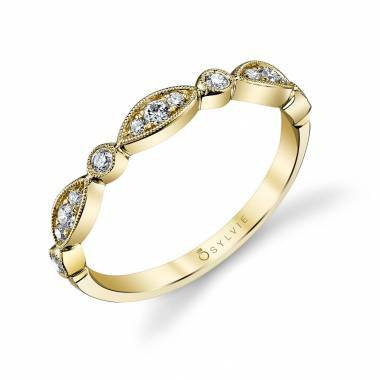 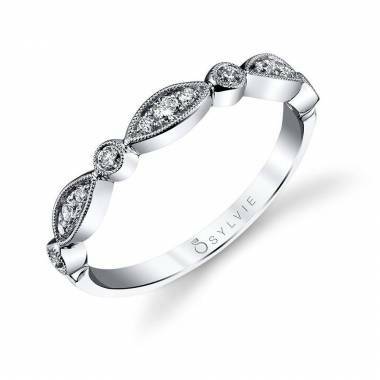 Sylvie’s collection of over 2,000 engagement ring styles gives you the ability to choose from various styles such as, vintage to modern. 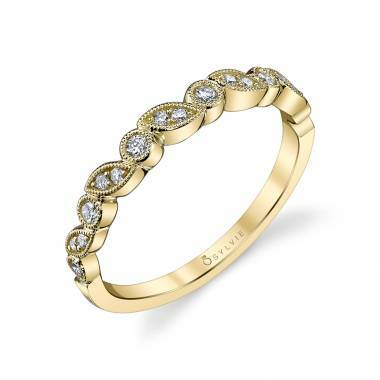 When mixing or matching our stackable bands, you’ll create a timeless look that will never fade.